January 6, 2015 - Michael Gallis, Does Charlotte Need a Vision? February 18, 2014 - Rev. John Cleghorn, 50 years of change since Martin Luther King, Jr. 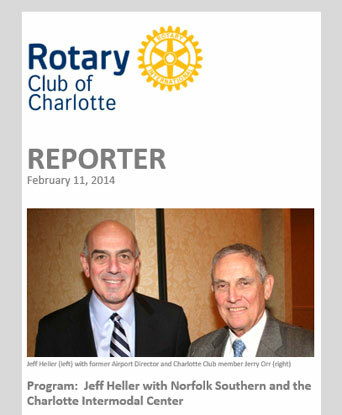 The best way to stay informed about Rotary and our club is through our newsletter, "The Reporter." It will be emailed to you once a week.